Fadwa is a budding and very talented jeweller in Gaza. I was asked by the Business Women's Forum in Palestine to mentor Fadwa in all aspects to help her with her jewellery line. In addition to advice about presentation, branding, marketing as well as chosing themes for her collections, we also showed Fadwa basic skills in jewellery making. 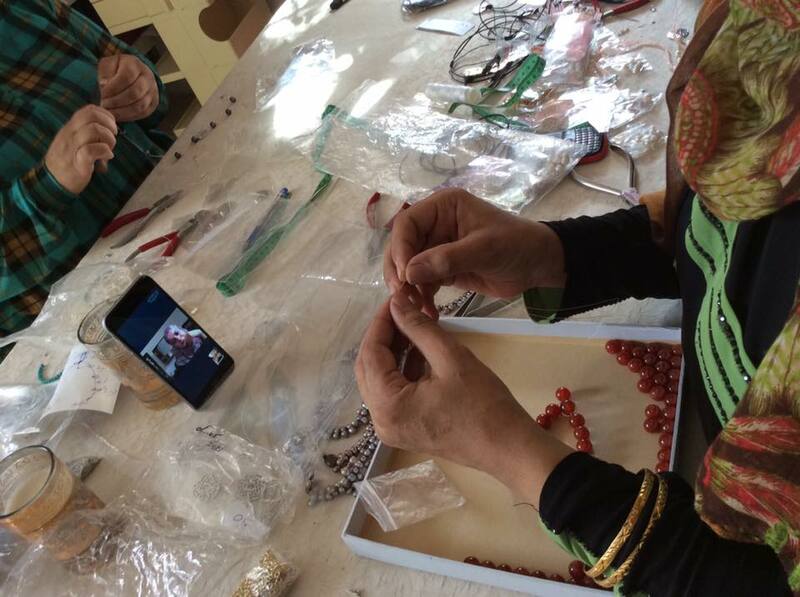 Here are some of our artisans in the Mugablein area in Amman, speaking over Skype to Fadwa in Gaza, showing her what to do and how to do it.